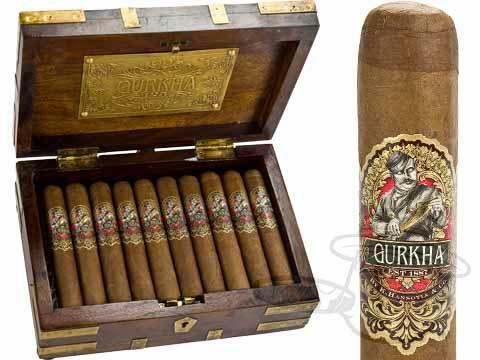 In honor and commemoration of its 125th Anniversary, we are proud to bring you the dignified Gurkha 125th Anniversary Edition cigar. 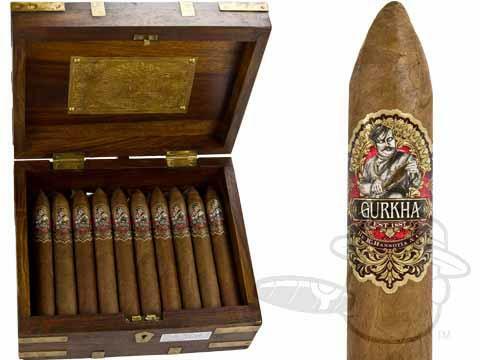 Using a carefully chosen blend of selected tobaccos, the 125th Anniversary blend features an oily Cubra, Habano wrapper, accompanied by an Ecuadorian, Habano binder and a complex combination of Nicaraguan, Brazilian and Dominican fillers. 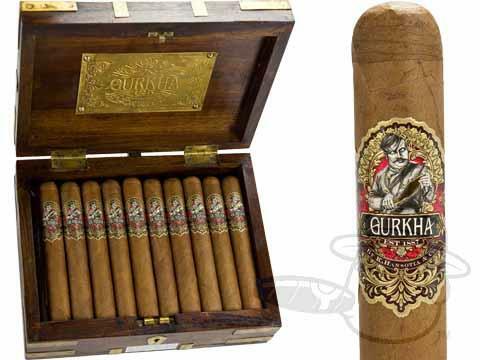 This intriguing medium bodied cigar encompasses a very smooth and complex taste profile, with flavorful notes of rich tobacco and subtle hints of sweet spice, vanilla and chestnut. Rated 96. Winner of the 2012 Golden Label Printing Award.